by Chloe of Celebrate & Decorate. We are all linked together and you can find everyone's post at the bottom. Welcome to my Thanksgiving Dining with an Organic Touch! I added some woodland creatures like the golden pheasants. Squirrel accented planters were used and I filled them with dried Limelight Hydrangeas surrounded with fresh leaves from my ornamental cabbage plant that was out in the garden. I wove the garland made with woodland things like twigs, pine cones, leaves and berries through the center. I chose the purple placemats to coordinate with the color of the hydrangeas and to enhance the 2nd layer leaf shaped placemats. Some turkeys in the shape of Pilgrim Turkey Salt & Pepper shakers! I chose my crackle stemware from Pier 1 which have a nice light amber tone to them. Salt & Pepper Turkeys from Pier 1 a few years ago. The dishes from Williams Sonoma are called Plymouth. This napkin has an embroidered wheat pattern so I turned it to show that off. This style napkin fold works either direction. 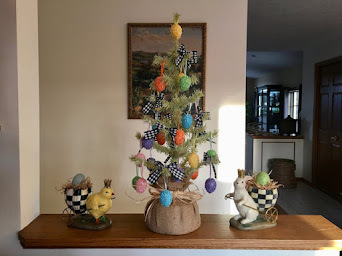 Everyone enjoys seeing the decorative arrangements and since we often serve buffet style from the kitchen area I can leave everything as is on the table. Thank you for visiting and I hope you'll take time to visit the others for all their Thanksgiving Day tables at the links below! So beautiful. 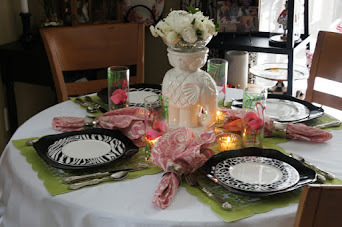 I love your gorgeous centerpiece and each place setting is so beautifully put together also. I love it all. Gobble Gobble! Love your turkey plates, salt and pepper shakers and fantail napkin! Liz, your woodland creatures and organic garland pairs perfectly with your linens, dishes and glassware. Warm colors invite us to feel the season of fall and the Thanksgiving season. May blessings abound for you and your family this Thanksgiving. Enjoyed blog hopping with you. 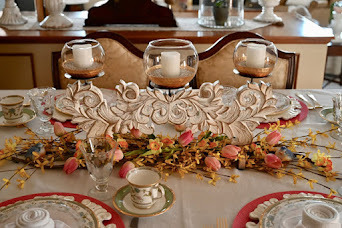 Liz, this is a classically and beautifully styled Thanksgiving table. And wow! Those plates are truly majestic on your table. I really like the pheasants too. I am a textile lover so the layering appeals to me, and works beautifully to bring out the colors of the floral arrangements. That crackle glass from Pier 1 has always appealed to me too - reminds me of WV Blenko. I have a few pieces of it also. Very happy you've joined us for this collection. 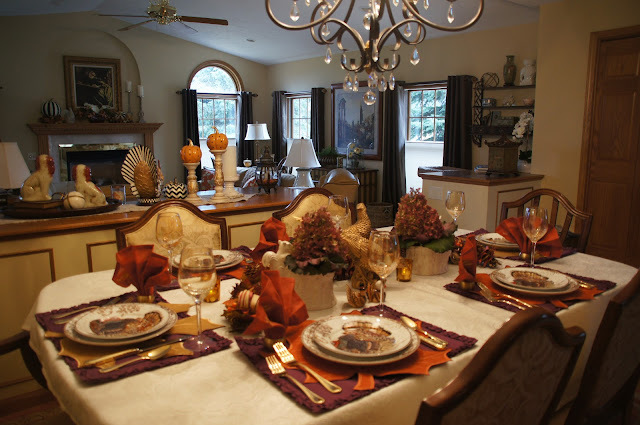 Liz, your table is gorgeous, full of rich autumn colors! This is the perfect table to gather at, it is so warm and welcoming. I love the natural garland weaving your pretty centerpieces together. The salt and pepper shakers are very cute. It is nice to be hopping with you. I hope you have a wonderful Thanksgiving. Gorgeous table Liz! I just love those pheasants and the lush woodland garland, but my favorite is your plates! They are stunning. I almost wouldn't want to put food on them! 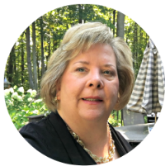 Such a pleasure joining you in this blog hop! 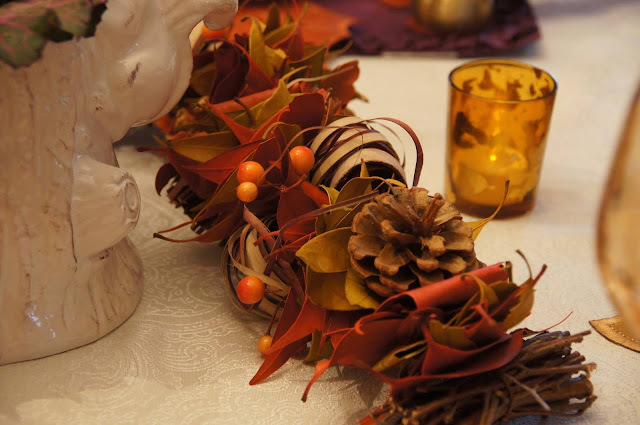 I love your woodland theme and the rich deep colors of your table Liz, and the garland is gorgeous! The beautiful turkey plates steal the show for me, and I love the whimsical fan tail napkins. The crackle stemware is so pretty too! Lovely! 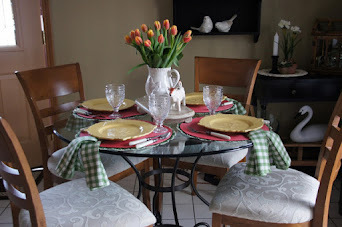 Liz your tablescape is warm and welcoming! I love your color theme, so rich and pretty. The golden pheasants caught my eye immediately...you know I am from Kansas and pheasants are abundant in the midwest....(none here in SW Florida). I wish I had purchased the crackle stemware when I purchased my amber crackle water glasses from Pier 1 several years ago, as yours are stunning. I enjoy all the different styles of table decorating at these hops, as there is a take away for everyone, and yours is no exception. Very pretty table. Love the pheasants, of course I have those too. Such a rich table full of charm and lovely fall colors. The turkey plates are so perfect. Love the turkey napkin fold. Your dining room looks so pretty, especially your buffet area, that is so nice for larger parties. A table to definitely enjoy this Thanksgiving. Beautiful table Liz. Love the natural touches to your table. So much rich color and love the turkey plates. Happy Thanksgiving. I'll have mine posted Thursday. 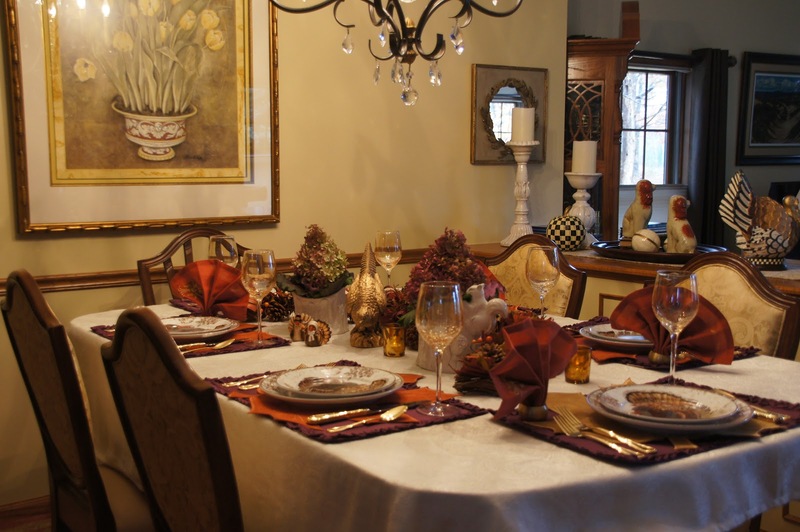 Liz, what a beautiful and warm Thanksgiving table. 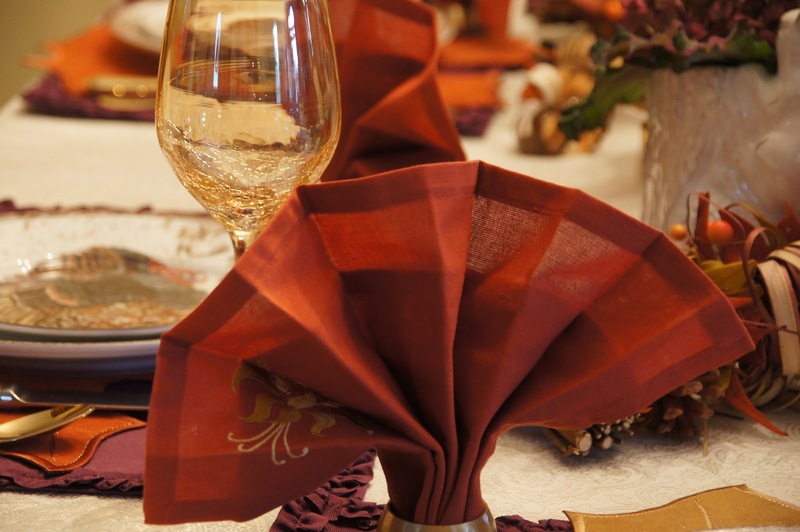 The golden pheasants are perfect with your Plymouth turkeys and the fantail napkin fold. 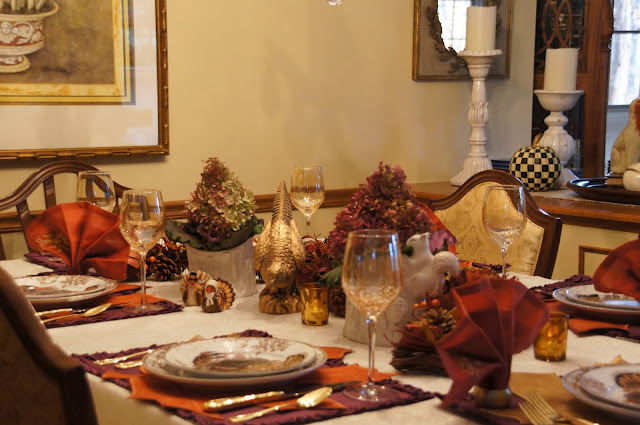 The table speaks Thanksgiving with its rich details and fall colors. Wishing you and hubby a wonderful Thanksgiving. 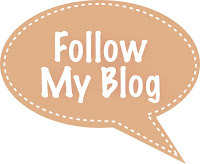 I am so glad you joined in on the blog hop. 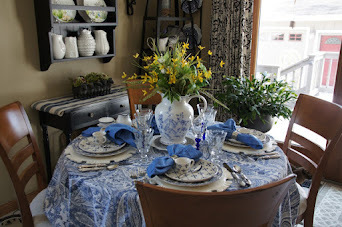 Liz, you always so cleverly mix and match to create inviting tablescapes and centerpieces. Where does one find a squirrel planter? Want one! And the DIY garland --- what do you use to thread, tie it all together with? Oh Liz, this is SO pretty! I love every element and especially the Pilgrim plates!!!! Gorgeous! The turkey/pilgrim S and P are adorable!!!! The planters are perfect too! Wishing you the BEST Thanksgiving! It's beautiful. I'd like to be a guest at that table! Love the napkin -- looks very appropriate with the turkeys! There's something about an autumn table that is so warm and inviting. You aced yours. The gilded pheasants, woodland garland,everything here is stunning! So happy that I was finally able to get to your site and so happy to blog hop with you again. Happy Thanksgiving! 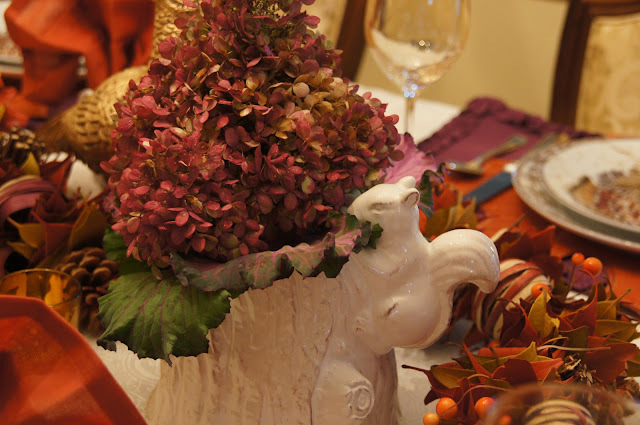 Simply beautiful and perfect Thanksgiving table dear friend. I love your centerpiece and my fav those gilded pleasants... of course, all your elements perfectly chosen for this great table. Thanks for the sweet visit and I'm pinning too. 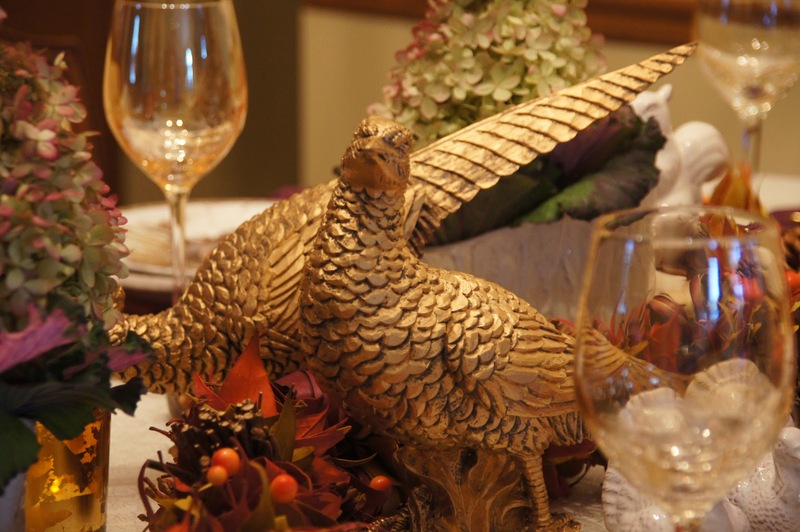 Liz, love the gold pheasants, they would add pizazz to any table. I think we have the same white ceramic turkeys! Love all the woodland features too. Really pretty Liz. 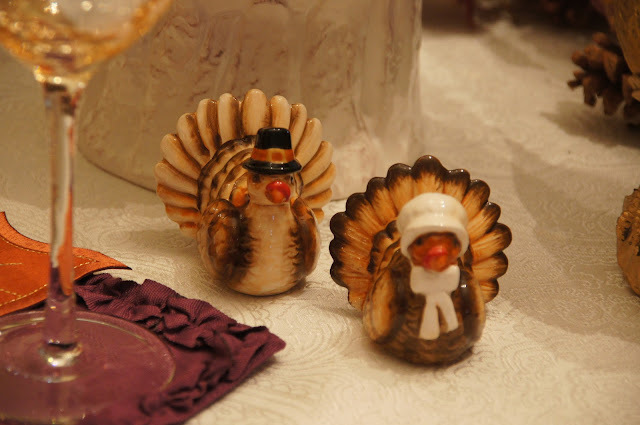 I love those sweet Mr. and Mrs. Turkey salt and pepper shakers. Too cute. Hope you have fun getting ready for the big day next week. I cannot believe it is already Thanksgiving. So rich and elegant! I love all of the collection of different woodland creatures. Those turkey dishes are gorgeous! I would love to have some of those in my collection! Enjoy your day, I hope you have a chance to gather with family and friends for your day! Oh Liz what a gorgeous tablescape! So festive and I love the woodland touches and the squirrel planters. I hope you have a wonderful Thanksgiving. Lovely table! The mixture of textures and colors all work so well together. It's an inviting and warm space to share a meal with loved ones. “Plymouth” dishes, huh? Those ROCK!!!!!! Perfect for the holiday! Absolutely PERFECT in every way! I really appreciate your choice of purple placemats. That touch really crowns the look!!!!!!!! I’ve considered spray painting one of my pheasants gold. The look is so in step with your tablescape! This is Thanksgiving the way I remember it...rich yet comfortable. I love it! 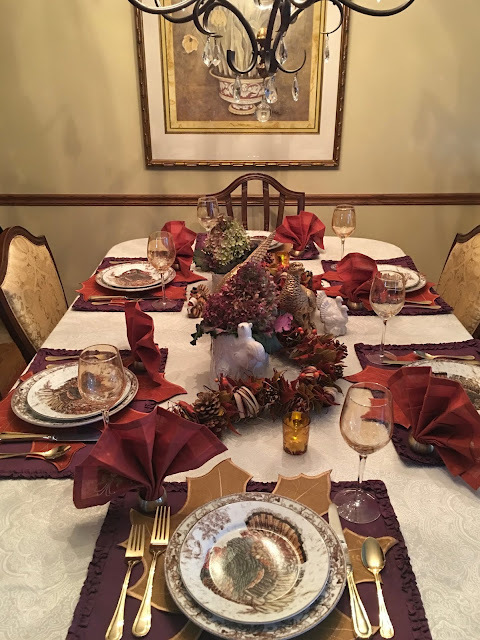 Beautiful, beautiful Liz!...so much attention to detail perfectly curated to set the most beautiful table for your family....Happy Thanksgiving Liz! Just gorgeous Liz! I love the rust and plum palette. That garland is the bomb! 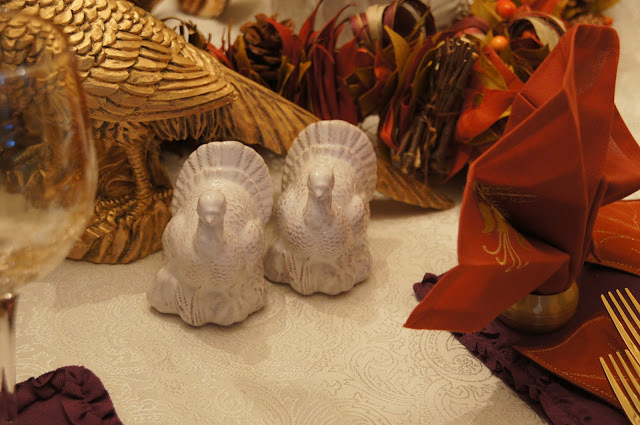 Love the turkey plateware and salt and pepper shakers. So happy to be hopping with you!